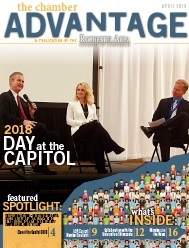 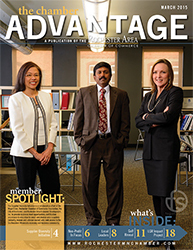 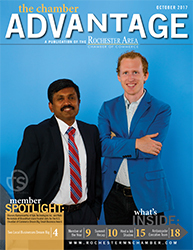 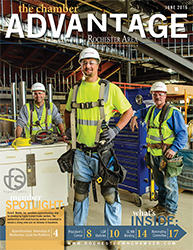 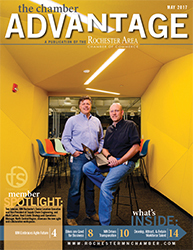 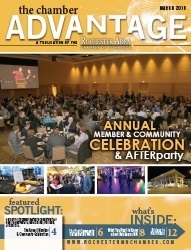 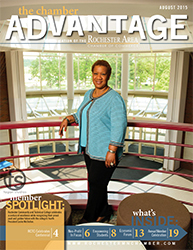 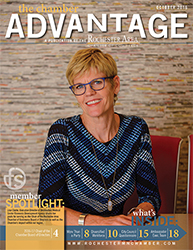 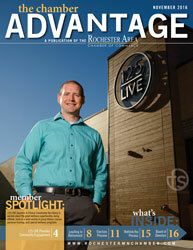 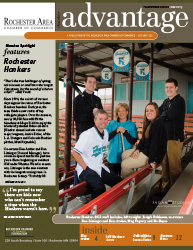 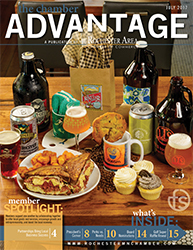 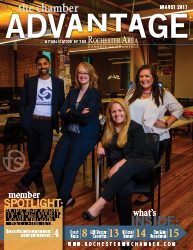 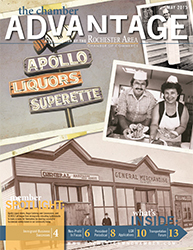 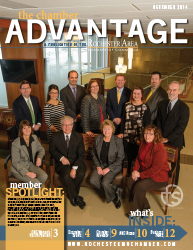 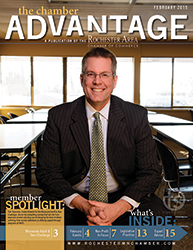 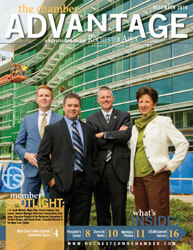 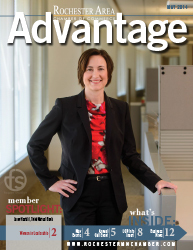 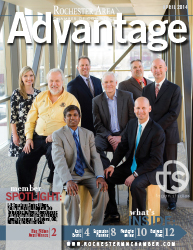 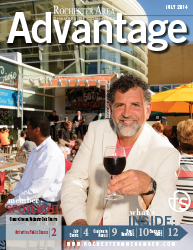 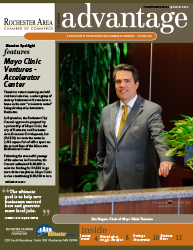 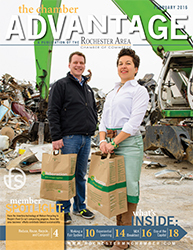 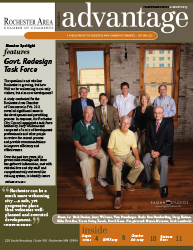 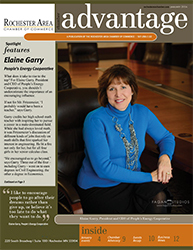 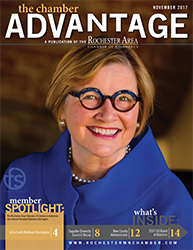 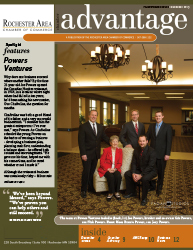 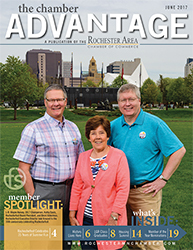 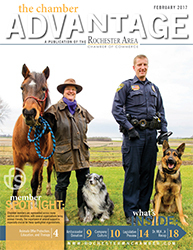 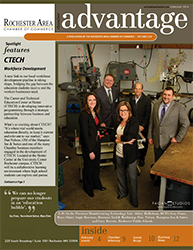 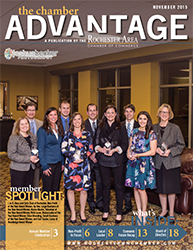 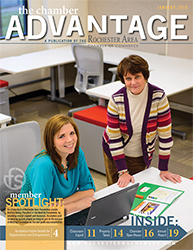 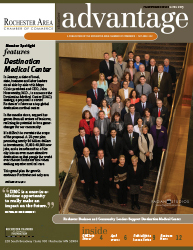 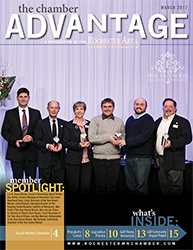 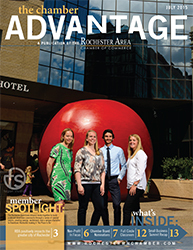 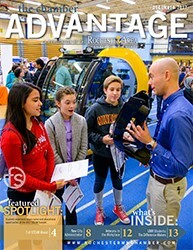 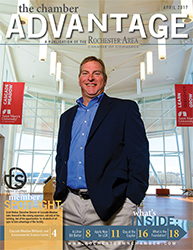 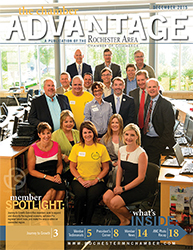 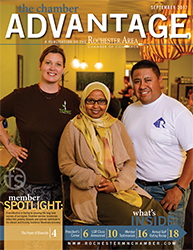 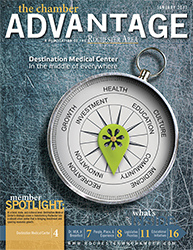 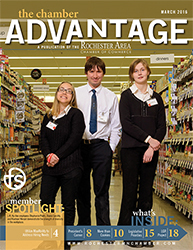 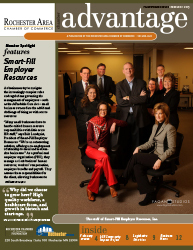 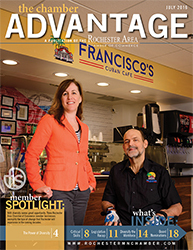 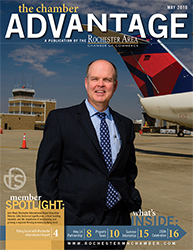 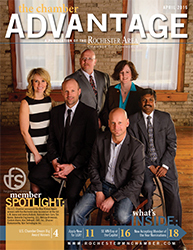 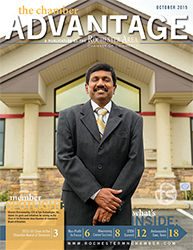 The Rochester Area Chamber of Commerce's monthly magazine, Chamber Advantage, is filled with timely, informative and rich content about current business news, Chamber events and initiatives and from around the community. 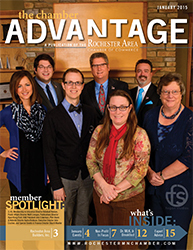 Advertising your business in the Chamber Advantage is an effective, reasonably-priced marketing opportunity. 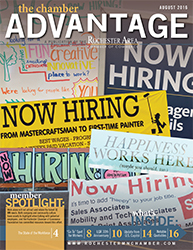 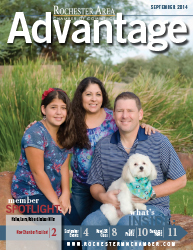 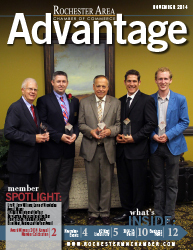 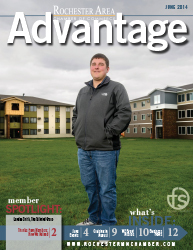 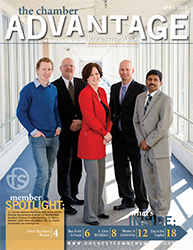 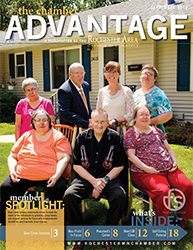 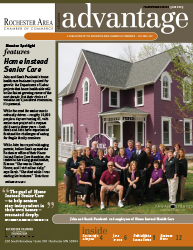 The Advantage allows you to reach your target audience in a cost-effective manner and is mailed to business leaders representing more than 1,500 area businesses every month! 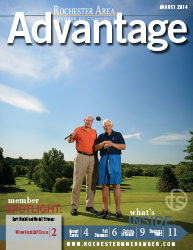 Space is limited and ad availability is on a first-come, first-served basis. 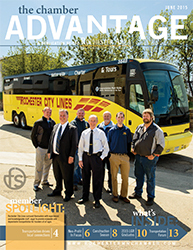 Rates start as low as $160/month. 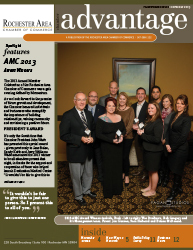 Has your business reached an important milestone? 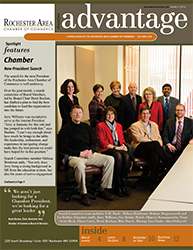 We want to know about it so we can share the news with other Chamber members. 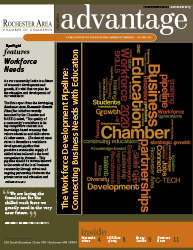 Submit your news online here. 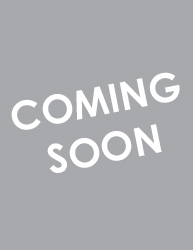 Please submit your newsreels before the 10th of the month preceeding placement. 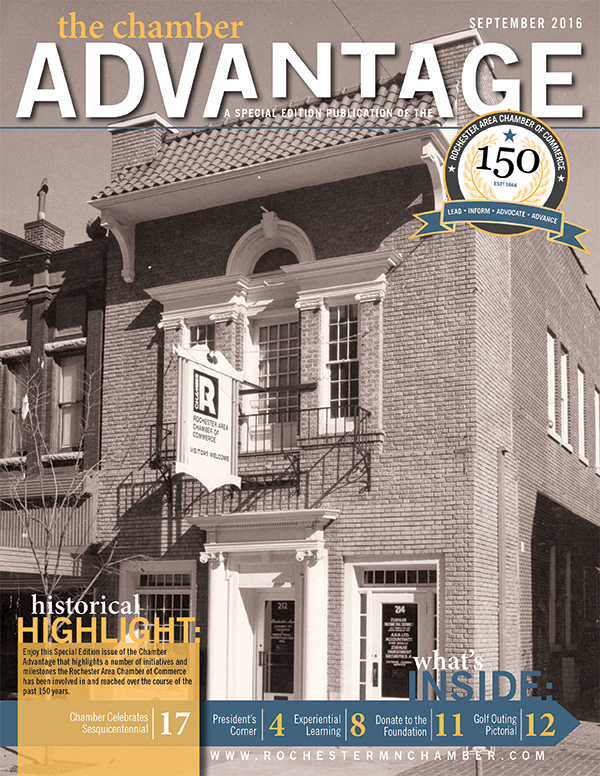 For example, if you want your submission to be considered for the February issue, please provide your newsreel by January 10th.